Thanks for the link Mal! This might come in kind of handy, if I could figure out fhow to make some of these covers into wallpapers! Odd, they have #11 listed as #1. 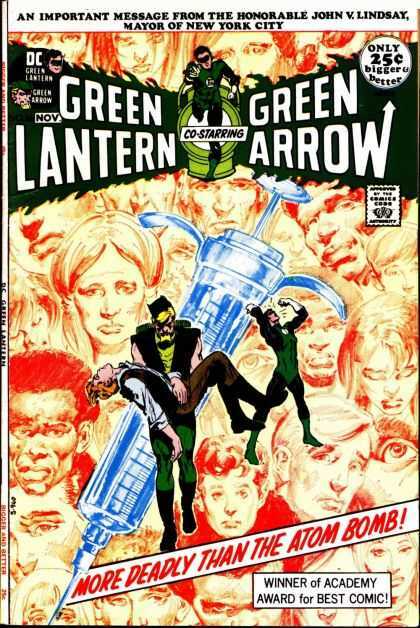 This was the first Hal Jordan GL comic I read after Emerald Twilight. It was at the top of one of the boxes of comics my Uncle had. It was what made me dig through his boxes to find more, which is what lead to me finding the v.1 GL comics, which is what lead to me being EXTREMELY angry with my Aunt after he died, cause she just threw them all away. I still get pissed just thinking about that. ...which is what lead to me being EXTREMELY angry with my Aunt after he died, cause she just threw them all away. I still get pissed just thinking about that. Aghh.. that's "Homer eating a copy of Amazing Spider-man #1" kind of painful.. Your aunt has the ability to instill great fear..